The latest generation of this successful LED UV hybrid printer is now even faster and more versatile, with simultaneous colour, white and clear ink printing. Powered by Fujifilm’s leading printhead and ink technologies, this is a reliable production machine built to deliver exceptional results. 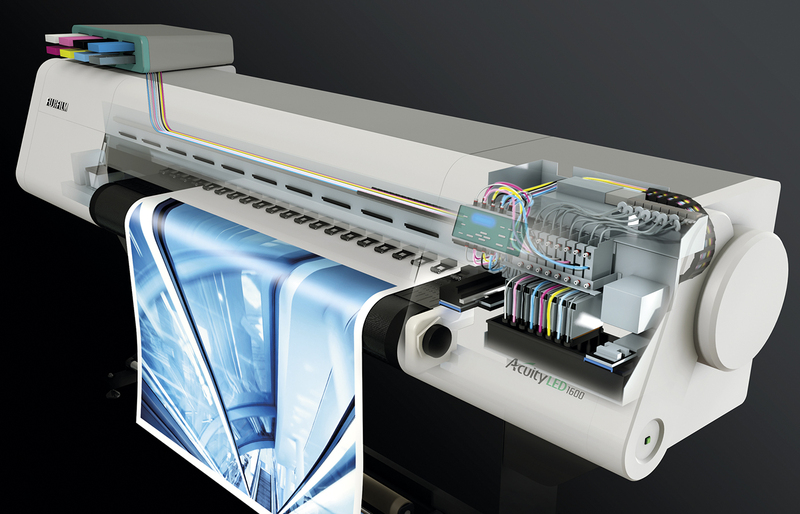 Acuity LED 1600 II is an easy to use large format hybrid printer designed to give exceptional print results in the most environmentally friendly and cost-effective way. 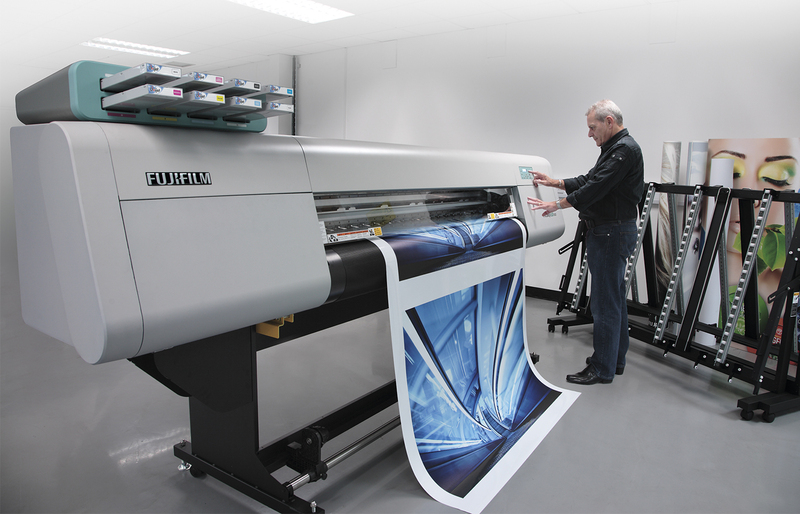 It is amazingly versatile, printing near-photographic images onto a wide range of roll or rigid media. 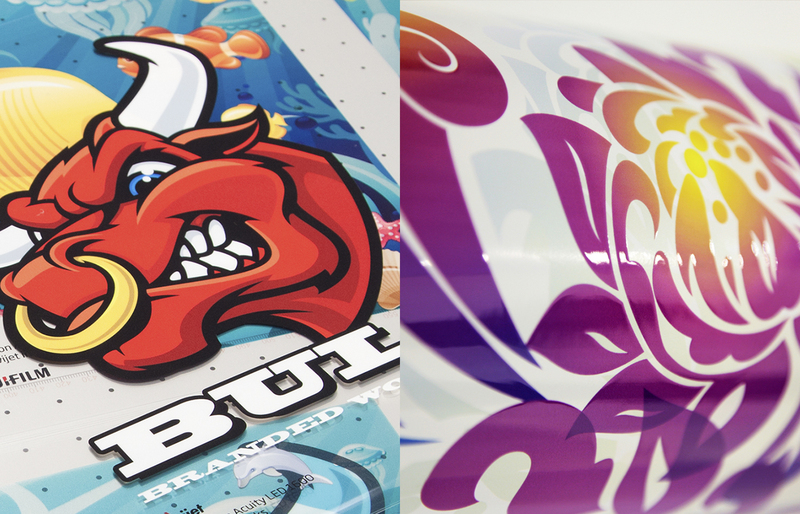 White and clear inks provide the ability to produce creative images that sell for more. LEDs produce very little heat which means they can work with heat-sensitive media. They consume far less energy than conventional UV lamps and last up to ten times longer. Above all they are much kinder to the environment – a concern for printer operators and their customers alike. Equally suitable for an office, studio or workshop, Acuity LED 1600 II fits into any environment as it produces no solvent fumes, no ozone and no surplus heat. VersaDropTM multi-pulse jetting delivers droplets of different sizes according to the definition needed by the image. 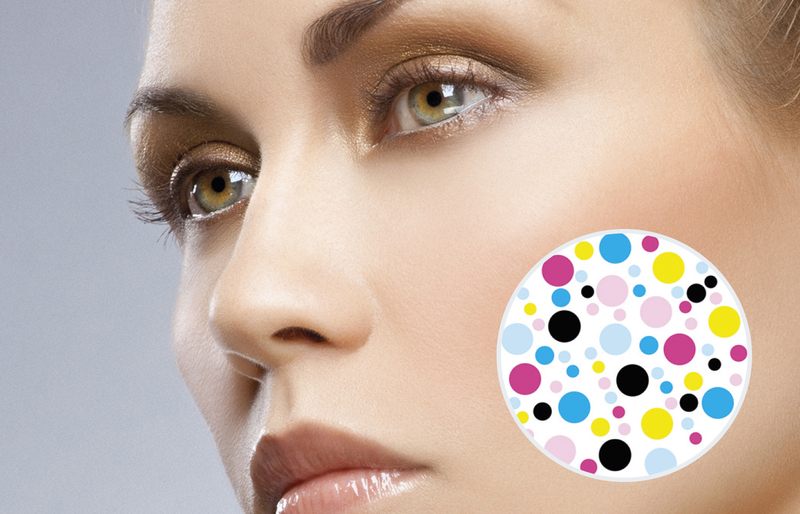 This gives both smooth changes in tone and rock-solid spot colours. VersaDropTMachieves phenomenal accuracy by forming droplets at the nozzle rather than in flight to the substrate, where they can be disturbed by air turbulence above the media. Use white ink to produce images on transparent or coloured materials. Use clear ink to add impact using a spot or flood clear with uniform finish. Acuity LED 1600 II can also print colour-white-colour layers in one pass for two-sided images on transparent materials, and print stunning high density backlit images direct to transparent media. The Acuity LED 1600 II is a winner for one simple reason – it’s a profit generator. LEDs only use a quarter of the energy of conventional UV lamps, and they last ten times longer. 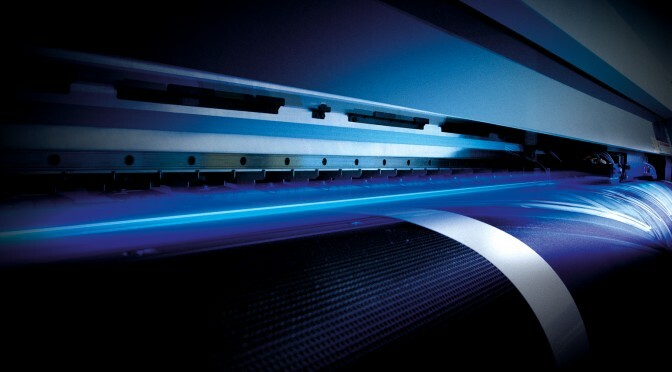 The printer can also tackle a huge range of roll and rigid applications including heat-sensitive film and non-PVC media, which buyers are demanding more and more. It is built to breeze through all the standard applications, including posters, window displays, backlit signs, indoor and outdoor signs, point of purchase and packaging. But with white and clear inks as standard, the Acuity LED 1600 II can also produce high added-value work. 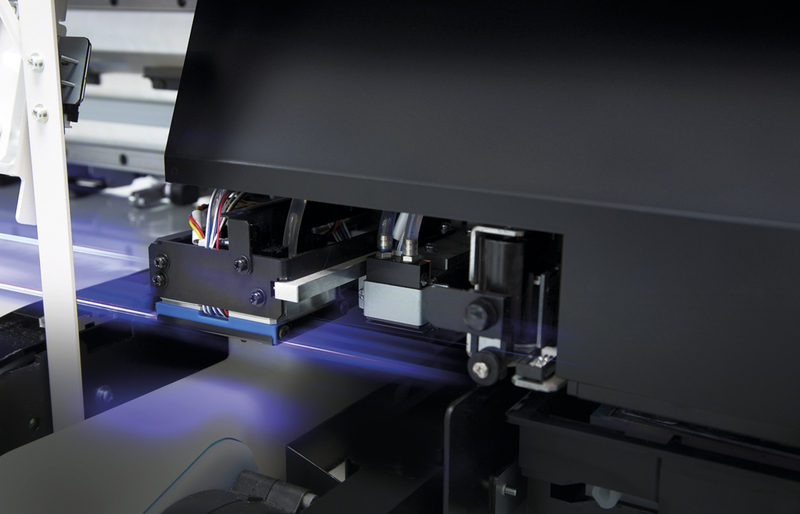 At the heart of the Acuity LED 1600 II lie ink, printheads and LED curing systems that were designed for each other. They are accurately tuned to give brilliant images, at speed, even on traditionally difficult to print media. 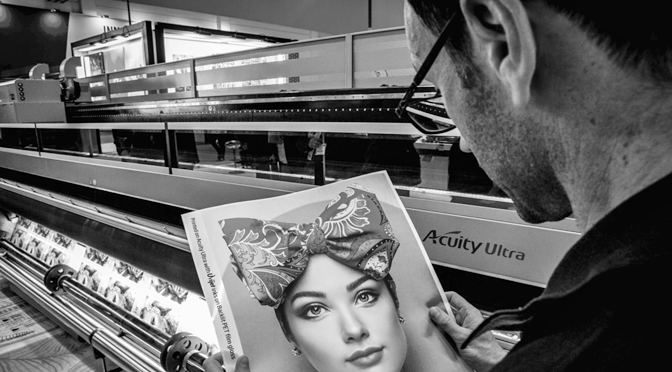 The combination of technology is clever enough to allow the Acuity LED 1600 II to print colour, white or varnish simultaneously in one pass without re-rolling. 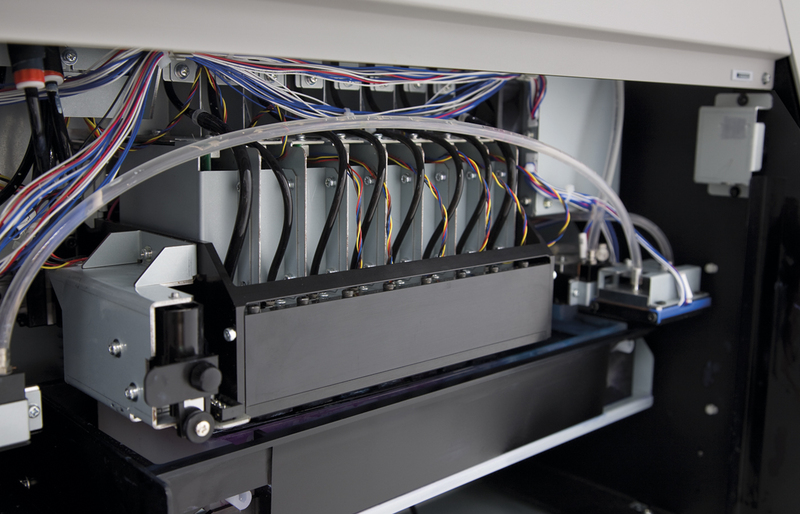 It’s a state-of-the-art technology made possible by Fujifilm’s commitment to research and development. The result is an outstanding printer which is flexible and reliable with minimal environmental impact. The Acuity LED 1600 II’s patented full LED lamp system is perfectly tuned to cure its own Uvijet ink in a two-stage curing process. Small, low-dose LED pinning lamps close to the printhead freeze the dot, while the main LED curing lamps fully cure the print which is ready to use straight away. Adjustable lamp positioning enables the curing to be finely controlled. The Acuity LED 1600 II uses eight Q-class printheads. These high frequency heads are both precise, fast, and have a track record of long life in high performance production. 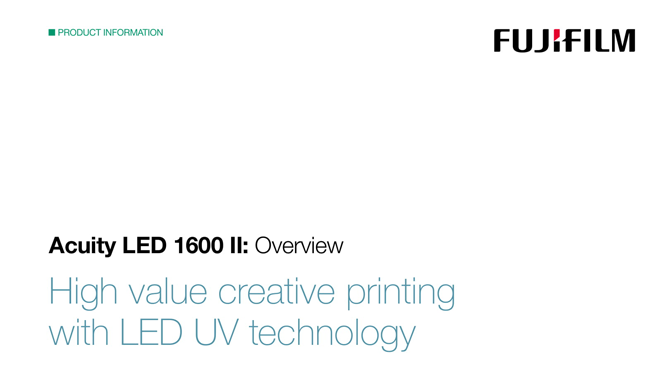 The combination of VersaDrop™ multi-pulse jetting technology and accurate control of the jetting, pinning and curing process, enables the Acuity LED 1600 II to produce quality print at fast print speeds. 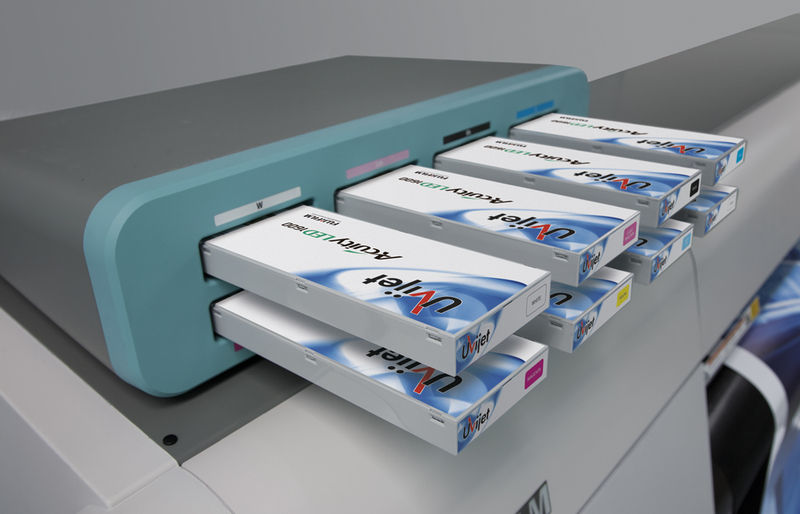 Uvijet ink systems are renowned in the industry through Fujifilm’s high-productivity wide format printers. Made using Fujifilm’s Micro-V ultrafine dispersion technology, enabling higher pigmentation, they produce strong, vibrant images and a wide colour gamut. The Acuity LED 1600 II’s dedicated eight-colour UV LED ink set includes white and clear varnish. It can print colours, white and varnish in a single pass, offering a host of creative possibilities.